I'm always looking for cute wallets. 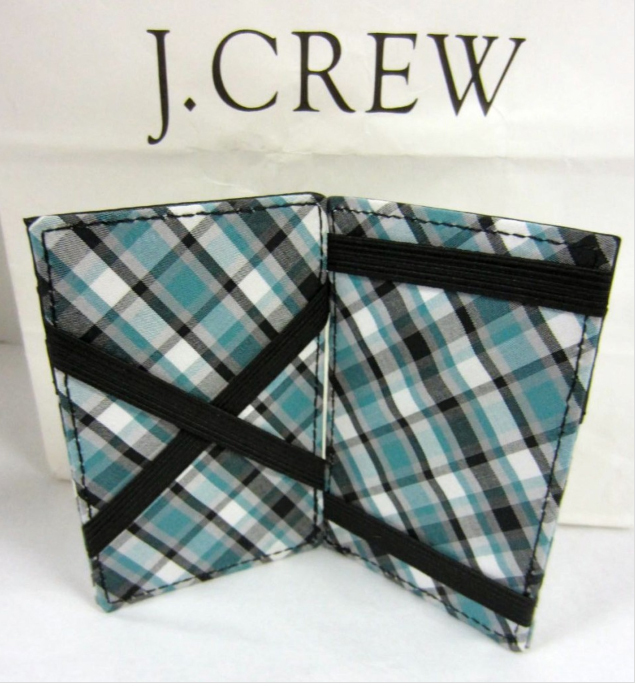 I saw these magic wallets at J.Crew two Christmases ago and nearly bought one but it was so close to Christmas I thought I'd drop some hints to family and have someone else use it as their gift to me. I guess I didn't drop them hard enough because by the time Christmas was over I was magic walletless. 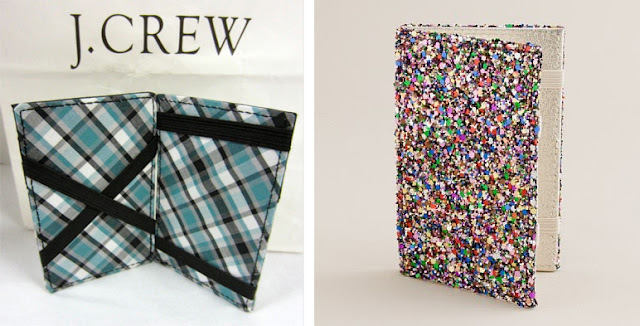 But what hurt even more was that J.Crew was no longer selling them! Boo! I guess what I liked the thinness of the magic wallet but unlike the infomercials these were PRETTY! Then I saw this wallet tutorial below and it got me thinking about those magic wallets again. These aren't magic wallets but I love the fabric used. Someone should come along and make some cute magic wallets. I'd buy one in a heartbeat. Or better yet I should make my own in many different patterns. Here's a tutorial on how to make a magic wallet. Seems easy enough. My great grandma used to make these with plastic canvas, yarn & ribbon also! We all thought they were so much fun. Hiya, I saw these at DSW ... near the wallets, clutches section. It was by their main brand Kelly & Katie(?). They were striped.